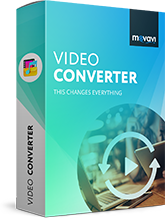 Convert video, DVD, audio, and images between most popular multimedia formats, including AVI, MP4, MOV, MKV, FLV, 3GP, MP3, AAC, FLAC, JPEG, PNG, and more. Save media for Apple iPad, iPhone, and iPod, Android phones, tablets, and other mobile devices using the ready-made presets. Do basic editing before you convert: split, trim and merge, crop, rotate, improve the quality, adjust the sound. Process video instantly without re-compression or loss of quality. Movavi Video Editor for Mac has all the video processing tools you need to easily create home videos and photo slideshows: cut, trim, and enhance your footage, rotate the frame, add dynamic transitions and your favorite music to match the visuals, then export everything in one of 50+ popular formats: AVI, MPEG-4, WMV, MOV, FLV, SWF, MKV, and many more. You can even save movies for perfect viewing on your mobile device or online. 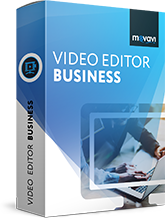 Movavi Video Editor Business for Mac is an efficient tool for making professional videos: marketing content, demos, tutorials, and more. Incorporate screen recordings and webcam footage into your project. Cut and trim video, link multiple segments. Add filters and transitions, use animated titles and callouts. Apply Chroma Key, Slow motion and other effects. Record your own voiceover. Save your project in any popular format. Upload the video to YouTube in just a couple of clicks. 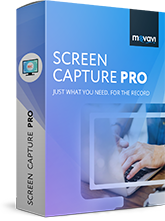 Capture anything that happens on your screen, edit your recordings, and save them to the format you need! 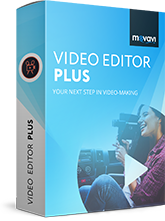 With the built-in video editing app, it’s easy to give your video a truly professional look: delete unwanted elements, add background music, join shorter segments with smooth transitions, and more! The result can be saved to any popular media format, as well as saved for 200+ mobile devices. 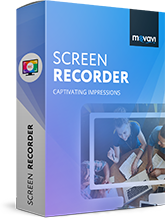 This easy-to-use screen video capture app for Mac OS X lets you record desktop screencasts, Skype calls, and online video, including audio tracks, and save them in any popular media format. Record full screen video, any smaller area of the screen, or even a specific program window, all at any speed up to 60 fps. Capture mouse and keyboard actions. Set a timer for capturing, and the program will stop recording at a predetermined time. Improve photo quality automatically or by hand. Adjust white balance, remove digital noise, and make fuzzy pictures sharper. Delete unwanted objects from photos and replace image backgrounds. Touch up portraits, apply filters and digital makeup. Crop, rotate, resize and straighten horizon. Add captions and watermarks. Restore old photographs in seconds. 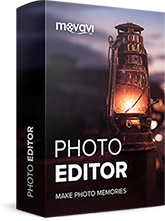 If you want to make videos from your photo collections fast, Movavi Slideshow Maker is the software you need. 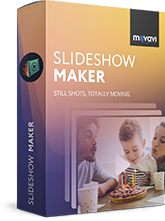 Create slideshows in no time using the easy mode: upload images, choose transition styles, add audio, automatically adjust your slideshow to the music, and it’s done. 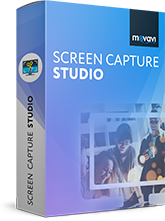 Select the full function mode to access the advanced features: upload video segments, add titles, apply filters to photos and videos, record a custom voiceover, and much more! Use either mode to save your slideshow in any popular video format. 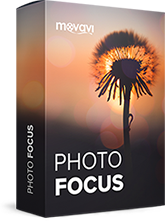 Get this dedicated image processing tool and apply artistic blur and tilt-shift effects to your pictures for breathtaking visual effects. Experiment with soft portrait blur and adjust image parameters in both the focused and the blurred areas, make tilt-shift miniatures using macro blur settings, or choose the focus brush to highlight specific parts of the image. A great way to save noisy images taken in low light conditions or on a smartphone camera. 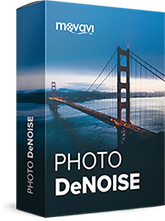 Choose one of the available noise reduction presets – from light to extreme – and adjust the individual parameters as needed. You can even save your adjustments as custom denoise profiles for future use. Quickly scan your Mac to find all those redundant cache and log files cluttering up your computer. Click "Start Cleaning" and the program will carefully remove all the junk. Completely uninstall apps together with hidden associated files. Use the built-in antivirus and firewall protection to secure your Mac from cyberthreats. Turn on automatic notifications so you’re always informed of your Mac’s status. 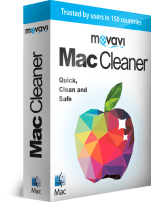 Let Mac Cleaner take care of your Mac and enjoy faster and more stable performance. 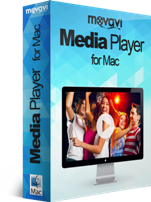 With Movavi Media Player for Mac, you can forget about format incompatibility. 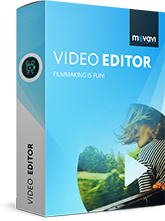 This program can play video and audio in almost any format, including MP4, MOV, AVI, FLV, WMV, WebM, MTS, MP3, AAC, OGG, FLAC, WMA, WAV, M4A, and much more. Watch HD video without freezes and slowdowns. Add and manage subtitles in a couple of clicks. Create and manage your playlists. Play tracks in Shuffle or Repeat mode. Adjust the colors and the aspect ratio of the clip. 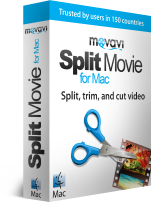 Our brand-new video splitting program lets you split, trim, and cut video files on your Mac quickly and easily. Split video into segments in a single click using the intuitive markers. Manage the selected scenes, adjust their beginning and end times, join and delete segments. And the really good news: the absence of re-encoding in the video processing saves you time and preserves the original quality of your videos. 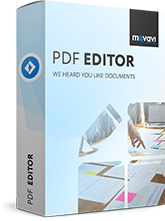 Movavi PDF Editor for Mac offers all features needed for processing and managing PDF documents. PDF creation from scratch. Different PDF-editing modes (4-in-1 page arrangement, text-editing mode, object-editing mode, and more). Ready-to-use legal form templates. Electronic signature solutions. One-click file export and print output. Please confirm your consent to sign up. Your e-mail address was successfully added. Thank you for your interest in Movavi! The e-mail address you entered is incorrect. Please check your e-mail address and try again.